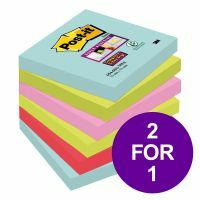 Buy one pack of Post-it® Sticky Notes Miami 76x76 Pack 6 and get another pack for free. Post-it® Super Sticky Notes hold stronger and longer than most sticky notes so you can be sure that your message gets through. Perfect for vertical and hard to stick to surfaces. 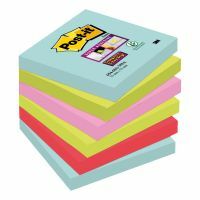 They make your work effective & simplifies your everyday life. 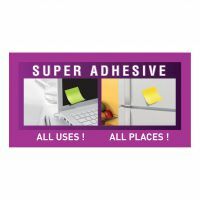 They are super strong, super versatile and offer super stand out.